Denne model er 173 cm og bruger en størrelse S. Brystet måler 81 cm og taljen 66 cm. 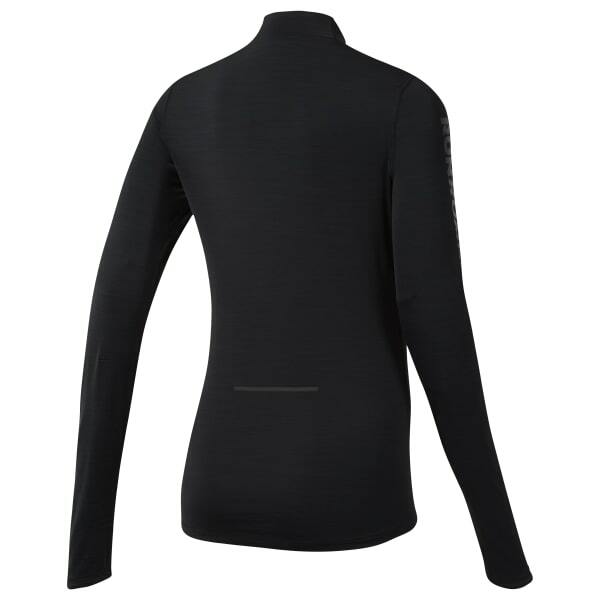 With its mock neck, dropped hem and thumb holes this long sleeve women's shirt helps provide coverage for cooler outdoor sessions. The lightweight fabric is studded with reflective features to help keep your runs safe in low light. Plus it's made with Speedwick and ACTIVCHILL technologies.